By now, I hope you know your brand story matters. If you’re reading this, I’m going to assume you know your story matters. Well, story is as old as human communication. It’s what connects us consciously and unconsciously. It cuts through the clutter and the noise of daily life. Stories allow our brains to learn new things in a way that we are most likely to remember what we’re learning. You do important work and the world deserves to know about it – especially those who will benefit from what you have to offer. Your audience doesn’t know what you know. And no matter how hard you try to educate and inform people, their natural desire to stay comfortable prevents them from taking it all in. Your brand story is the answer to that problem. 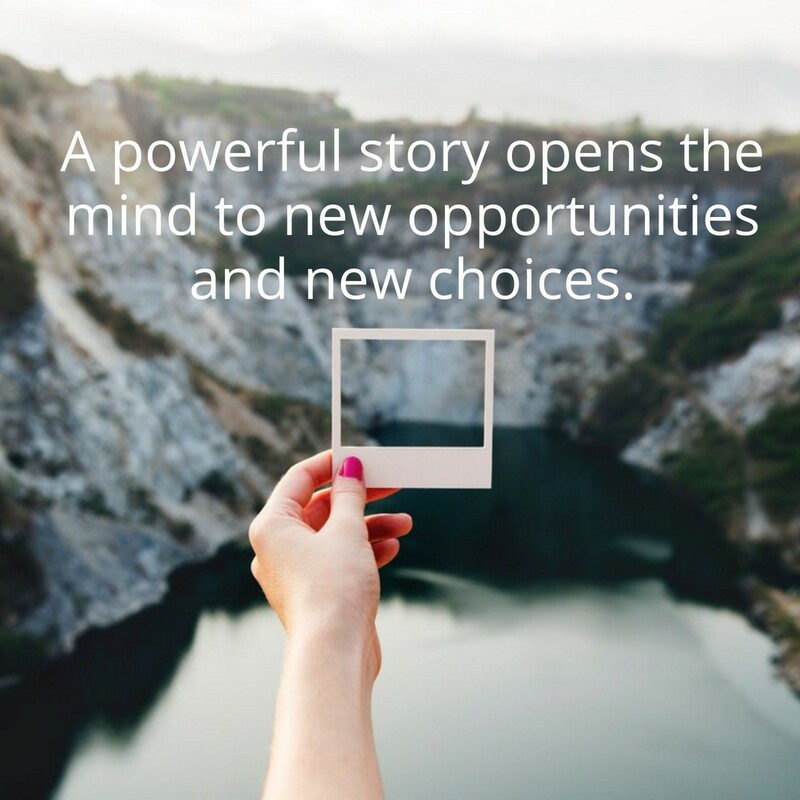 A powerful story opens the mind to new opportunities and new choices. When you connect to a story you choose hope over fear. You choose trust over doubt. You choose acceptance over conflict. When you tell a story you have the power to change the world. Now, don’t roll your eyes at me. It’s true. Think about it, if you are solving a problem for someone, you are making their life better. At least I hope you are making their life better. Because if you’re not, we need to talk. And if you are making their life better you are changing their world. Based on feedback I’ve received, I think the biggest thing standing between someone and a better brand story, is fear. Here are a few tips to help you start. Just start. When you are taking the first pass at a story, don’t focus on the final story. Instead, write the ideas that highlight the key points of the story. The final story will evolve with each pass. 2. Don’t write and edit at the same time. Do not write and edit at the same time. Writing and editing use two different parts of your brain. And when you interrupt one for the other, you are fully committed to either. 3. The final story is never the final story. Be okay with the fact that your story will continue to evolve. Stories take on a life of their own. The more they are told, the more their personality develops. Let it happen naturally. Don’t control your storytelling environment so much that you hinder its growth. Well, you’ll get stuck (or stay stuck) if you don’t do get your stories straight. I can’t help you do that, you have to do that all on your own. I can help you if you get stuck though. Just email me at kim@kimyuhl.com and ask away. Don’t worry, there’s no catch. None. 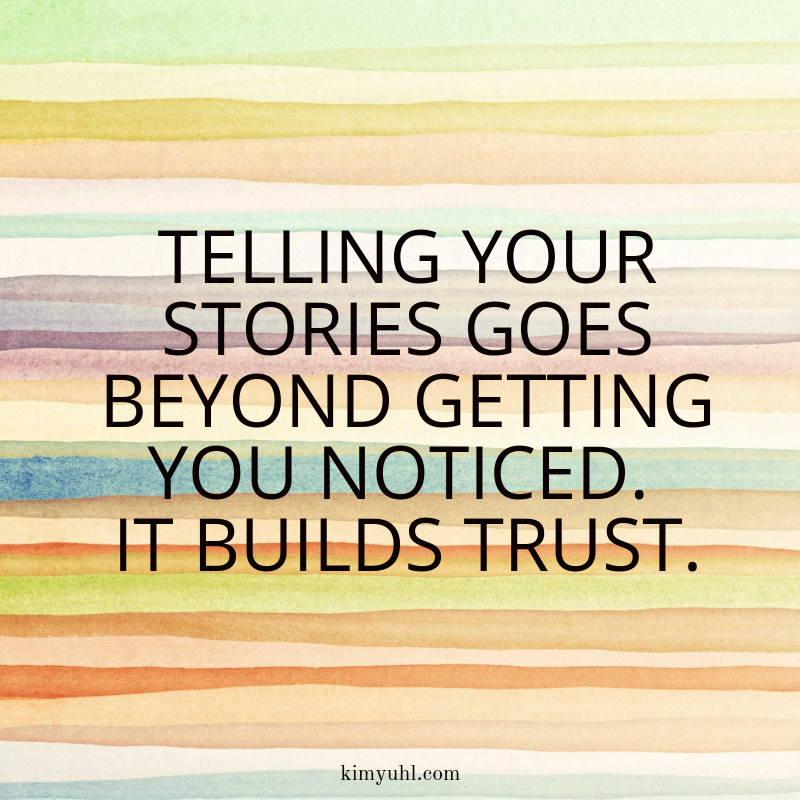 Telling your stories goes beyond getting you noticed – it builds trust. People are more likely to believe you when you a tell a story. And this is true not only in business but in your personal life as well. So do the work, practice your stories, and share them whenever you can. It will be the best thing you’ll ever do for your business. I promise. Here’s to telling better brand stories! Here I am with the obligatory year-end, New Year’s post. I took a week off from my digital life to enjoy my family being under one roof again and to ponder, process and plan for the new year and all the changes that it will bring. In exactly one month, I will become homeless. Thankfully, by choice. Many people do not understand my desire to be a nomad, and I’ve accepted that. I’ve also accepted the fact, that I am different than most. While most adults crave roots and the sense of belonging, I find it restrictive. I get my sense of belonging by experiencing and sharing new things. I won’t lie … it’s scary to think I won’t have a home. Really, really scary. But it’s also exciting. And thrilling. And invigorating. And what is it they say? … Home is where your heart is? Well, I’m counting on it. As I begin to visualize what I want 2018 to look like, I wasn’t quite sure how I wanted to approach the dreaded task of making a resolution. I really hate the idea of resolutions. So much so, that for years my resolution was to drink more champagne because I knew I could keep that one. Then I started adopting a word as a theme for the year. Well, that was good and all, but the word sort of left my vocabulary by March. So, this year, I decided to write my story. I am all about the story after all. It’s a long one, so I will only share the highlights. The first thing that came to mind was the word infinite. While I don’t want to attach myself to one word … If I was forced to choose one it would be infinite. Basically, the possibility for 2018 is infinite. Now, I realize that also means there are infinite possibilities to fail, to wither and to get stuck. But that’s the challenge, right? I am choosing to live in the possibility of every moment and use every moment to create more growth, kindness, and adventure. I guess you can say that’s my motto for 2018. Numbers kept popping up as I wrote my story. Because let’s face it, I am a planner. And once a planner, always a planner. Seems a little odd to say that as I embark on a nomadic lifestyle, but it is what it is. So here is how my 2018 will look in numbers. I will help 5,000 business owners tell better brand stories. It’s true that I am not providing 1:1 marketing consulting anymore. My main business goal for 2018 is to put my brand story content into the hands business owners with pay what you can pricing. No more excuses for bad stories, people! More coming in the next week on this. I will walk or run 750 miles over the course of the year. Not much to be said about this one except that it will be mostly walking unless I’m late for a flight, then I’ll run like the wind. I like to walk, I need to move. So there you have it. I will complete 150 yoga or Barre 3 sessions throughout the year. And to be clear, I am defining one session as 45 minutes. I tend to do 15-minute mini-yoga and mini-Barre 3 sessions periodically throughout the day to keep me moving, so I had to get clear before the motivation wears off and the laziness sets in. I will write 50 personal and 50 business blogs this year. I’m going to be doing all this cool stuff, and I want to share it. Not to mention, I need the therapy this space provides. I will visit ten countries. I know for sure I’m spending January and February in the U.S. and a few months in China. But the rest of the year is wide open. Any suggestions? I will be in Sanya, China for the month of March. I wanted to be close to Way and Brennan (both of whom will be teaching in China), be warm and on a beach. Way and I will travel around the country on the weekends. In April, I will head back to this side of the world and settle in Tulum, Mexico. Because … well, Mexico. Everything is subject to change without notice. I will build one school. Remember those 5,000 business owners that will pay what they can to stop telling bad brand stories? Well, by paying want they can, they will be contributing to the school I’m going to build with the help of Pencils of Promise. Yep, one of my goals for 2018 is to build a school. I can think of nothing better than to educate future leaders, leaders with a global view and that will fight for solutions to help the less fortunate. I’ve always considered myself a citizen of the world. Working for Pan Am for 7 years probably has something to do with that. Maybe that’s why the putting down roots thing hasn’t really worked for me. Doing good in my community has always been important to me, and I wanted to make sure I kept a focus on giving back as I traipse around the world. So I’m building a school. 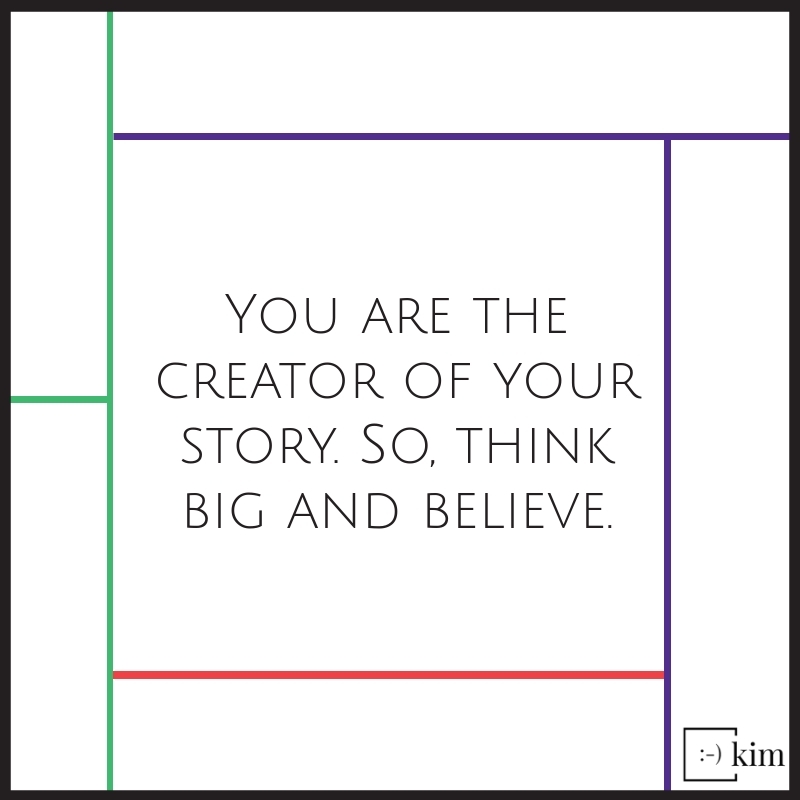 You are the creator of your story. You can make this year anything you want it to be. It just takes a little imagination and the belief that you can. 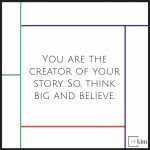 So, Think big and believe! I am wishing you and yours the very happiest of New Years. 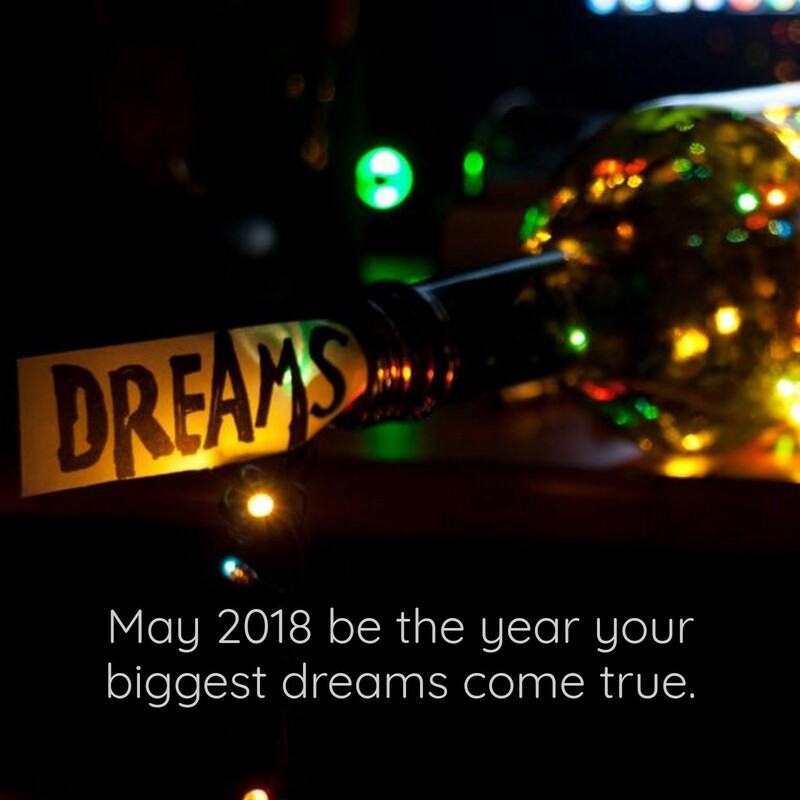 May 2018 be the story of your dreams. Where Is All the Attention? Note: This Storyletter was sent to the tribe on November 5, 2017. Want in? Click here. Do you know where all the attention has gone? I have some ideas, but rest assured, I’m out there looking for it and I won’t stop until it’s found. We’re a society that wants to be entertained. We are over-scheduled, always busy and stressed out. And I’m as guilty as everyone. 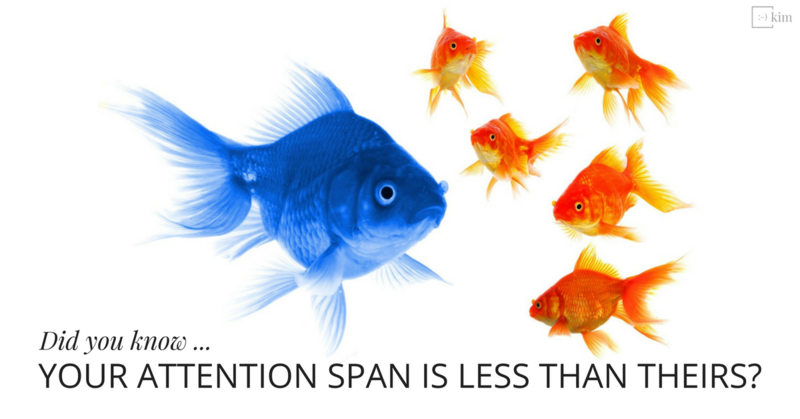 I’ve already mentioned a million times that our attention spans are shorter than a goldfish. Well, it seems as if it is getting shorter every day. And what that means is that what worked last year to grab attention and earn new customers just isn’t working anymore. We’re going to talk about how to fix it, but first, let me tell you a story. I was making some whipped shea body butter in my boutique. This was probably about ten years ago, right after I opened. To make whipped shea body butter, you have to whip a bunch of melted shea butter. I was using my beautiful pink kitchen aide (which I loved) when for some reason (no logical one that I can think of) I lifted the whisk out of the bowl … while it was still spinning. Shea butter went everywhere. It was in my hair, all over my clothes, on the walls and the floor. It was a mess. Right then a customer came in and burst out laughing, which of course caused me to laugh. I helped her find what she needed while draped in body butter and before she left I asked her to take a photo. She did, and later that day, I posted it with the story, probably something similar to what I’m saying here. She commented on the post, as did a lot of other people. The next day someone came in and referenced the post. I may not have known it then, but I was onto something. The moral of the story is when I owned my business I didn’t know what it took to become memorable. What I did know was people responded to the funny things that happened during my day. They liked when I made mistakes and laughed at myself (and still do). But today, the burden of stopping the scroll is getting harder and harder. Now, I know I sound like a broken record these days, but I’m cool with that. And it’s time to adapt and experiment because there isn’t a proven, one-size fits all strategy out there. 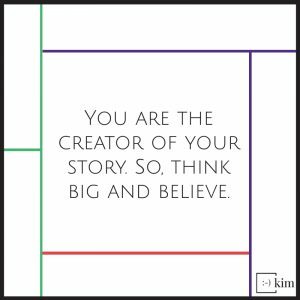 You are one story closer to the business and life you’ve been working for. P.S. Read the blog, grab your story guide, and start thinking about how you can become memorable. It’s how you’ll win attention and grow your business. P.P.S. #HappyNationalDoughnutDay … Treat yourself. You deserve it. P.P.P.S. Did you know there were two #doughnut days? Yep, you can celebrate the #donut on the first Friday in June and again on November 5th. Click here to read why donuts are getting all the love. Knowing that my status as an empty-nester was inevitable, I spent this past year experimenting, both in life and in business, to try and figure out what my life will look like after kids – if there is such a thing. I spent time walking 10,000 steps a day, attempted yoga positions no 53-year-old should attempt, and forced myself to get enough sleep. Okay, let’s be real, nobody had to force me to spend more time bed. I also tried eating vegan, paleo and everything in between. I eliminated sugar, tried (unsuccessfully) to give up cream in my coffee, and saved my beloved pasta for special occasions. In my business … I embraced live video, tried my voice at podcasting and launched and tested several products. 1. Life is too short to give up things you love. 2. I can talk. A lot. And even though I became comfortable talking on camera, I still prefer to ramble via text. 3. I love helping business owners find and share their stories. 4. And finally, and maybe the most important, I love food and I want to eat it. All of it. Now, that I have all this data and my nest is empty, the time has come to figure out my next chapter. If you know me at all, you have probably heard me talk non-stop about travel, adventure, and becoming a nomad. That yearning is still strong within me. In many conversations with Way and the boys, we came to the decision that 2018 would be the year that Way and I follow the sun. The boys have their own plans, as grown children should and will be joining us along the way as their schedule permits. With that decision made, the next logical question is what does that mean for my business and some of the other things I learned? 1. 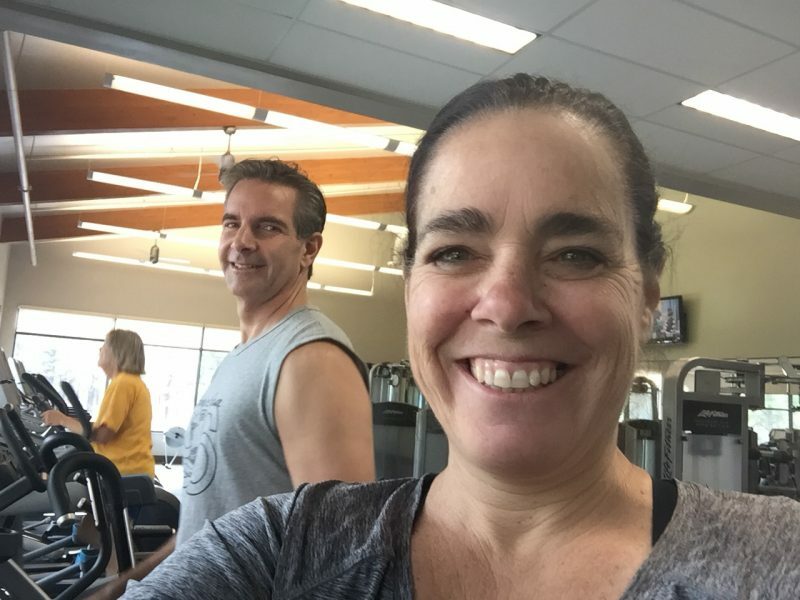 Way and I started working out together six days a week. Have you seen him? Have you seen him eat? I want to be more like Way. Truthfully, I’m not even sure how I can muster the movement in my fingers to write this just two days into my new workout routine because I am so sore. It will get better, won’t it? 2. I’m hoping lifting weights, yoga and regular walking (possible even running on a beach somewhere), will reward me with the ability to eat what I want, when I want it – within reason, of course. 3. And finally, and here’s the big one … I can officially announce that I sold my marketing business, so I can concentrate on doing what I like to do and what I do best – write. I realized I really missed personal blogging. I’ve been so busy creating content for my business and for other people’s business, that my personal thoughts often took a back seat. That changes now primarily because I need the therapy! So expect more personal blogging as I adventure through life. Initially, I was planning on taking December and January off, but when I started to put feelers out there for potential freelance writing work, my December quickly booked up with projects. It feels good to be needed. I will admit that I struggled with this decision of selling my business because I love teaching small business owners how to use their story. But the reality is a client-based business when you are traveling can be a bit challenging. And I’m a workaholic. It’s true. I could work all day every day because I love what I do. But what’s the point of living a life of adventure if you aren’t going to enjoy it? When you love what you do it doesn’t feel like work. Answering questions, strategizing, and working through roadblocks is fun for me, but it’s not as much fun for my family. It’s not in my DNA to step away when someone needs help. So, I’m sort of forcing myself to do so. To keep my hand in the better brand story niche, I will continue to write my weekly Storyletter (which happens to be some of my best advice) and I will turn my signature courses and content in digital downloads creating a story library of sorts. Basically, while I’m going somewhere, I’m not really going anywhere. Now you might be wondering where we’re headed. My parents are wondering the same thing. So here are our plans (at least as I write this). 1. We will be in Flagstaff through the end of January. But our relationship with Flagstaff won’t end. You can expect to see us in town later summer. 2. In February, we will be spending the month in San Diego helping Way’s mom begin the arduous process of cleaning out her house. Living in a house for 50+ years provides plenty of opportunities to hoard. 3. In March, look for us in Mexico – somewhere. There are so many great choices that I’m suffering from decision fatigue. And that’s about all we have right now. The type A, planner in me wants it all laid out, but the new, nomadic me wants to see where life takes us. I seem to be spending an excessive amount of time on the Nomad List – I may be obsessed. And as most things with my family, everything is subject to change until the tickets are purchased. A few days ago, I introduced my new done-for-you premium blogging service, Blogging Your Story and I was amazed at the feedback I received. There was a lot of it and I was either thanked profusely for putting this out there, or I was told I was crazy because blogging is so last year. Hold your horses … Blogging is last year? I hate to tell you, but blogging is anything but last year. Then I realized with all the focus on live video, InstaStories, and visual images, I can see where a small business owner might think blogging is yesterday’s news. Well, I’m here to convince you otherwise. In this article, I’m sharing some reasons why a small business blog is mandatory if you want to grow your business. Businesses that blog get 67% more leads than those who don’t. 81% of U.S. customers trust the information and advice they receive from blogs. 61% percent of U.S. customers purchase based on recommendations from a blog. 60% of customers feel more positive about a company after reading custom content on its site. 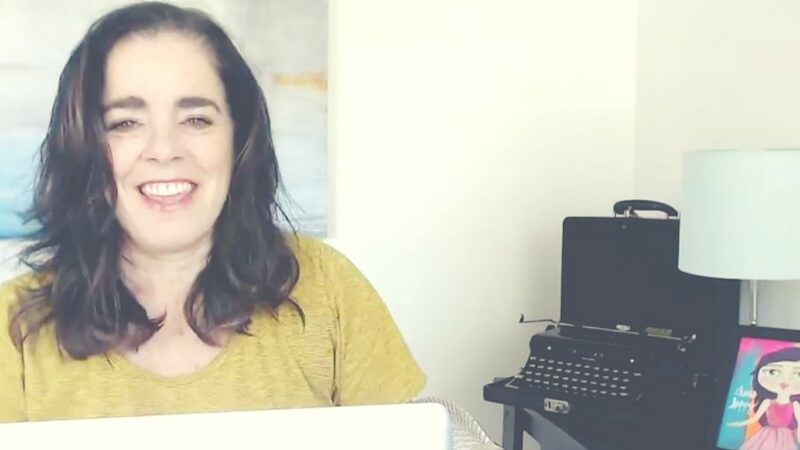 Now, you might think I’m going to talk about things like how a small business blog helps you get leads, how it helps potential customers find you, and how it helps build relationships. Well, those are very valid reasons as to why you need a blog, but that’s not the angle I’m going to present today. 1. Focusing on answering the questions your customers and potential customers have keeps you focused on providing what your customers want and need. Remember, most customers believe and trust the information they receive from blogs. So it doesn’t matter if you are a tow-truck service or a dentist, a business blog not only helps establish your trustworthiness, but it keeps you focused on providing the kind of content your customer needs to make better purchasing decisions in your niche. Bottom line, it keeps you talking about what matters to your customers, not what you think they should know about you. 2. Blogging regularly helps you to clarify your message, hone your stories and find your voice. The more you focus on creating valuable content, the more clear you’ll become on how to talk about your product or service so it resonates with more ideal customers. Most small business owners deliver the messages that seem relevant in the moment so they can attract many customers as possible. Instead, when you hone in on a specific message that attracts the right kinds of customers, you’ll stop trying to find new customers and they’ll come looking for you. 3. Your blog is the perfect communication hub and if your customers are trained to visit your blog, you’ll be positioned for quick revenue bursts, spur-of-the-moment changes, and relaying of other important information. If you position your blog correctly, you’ll be able to create a quick revenue boost when you need it most because you’ve already done the hard work of building trust and relationships. It has been proven time and again that a loyal audience rewards you for producing valuable content and information. Additionally, you’ll be able to explain and announce important information so that it has minimal impact on your customer’s experience with your business. 4. A blog is perfect to help you understand what you need to produce. Having a blog with many articles allows you to learn what your audience really wants. When you know what types of content perform the best, you know what types of content to continue to create. Also, you can use your blog to request feedback from your audience which can help shape future product launches and promotions setting them up for success before they even begin. Basically, give your audience what they want! 5. Blogging can inspire you and motivate you when you need it most. Blog writing makes you think! You’re sort of forced to ponder newsworthy topics, the state of your industry, your customers and the world around you. And doing that on a regular basis can inspire you to think bigger and better. So, you see … a small business blog not only attracts the right kinds of customers into your business, it makes you a better business owner. It helps you put the emphasis on delivering what your customers want and need, instead of just deliver what you think they need. Stop making excuses and start spending some time and energy into creating a business communication hub with a powerful business blog. Your customers (and your bottom line) will thank you. Storytelling marketing is key right now to building to awareness of your brand. We’ve got the reasons why you need to tell the story of your business. Storytelling marketing is a great, fresh way to get eyes on your brand and your products. The concept is simple: put your business and products into a story that’s both uplifting and easy to digest. However, if you aren’t confident in your creativity and your storytelling skills, a fun and interesting marketing technique can easily be overlooked. Curious about storytelling marketing, but not entirely convinced to try it out? We’ve got a few reasons why it’s an essential way to show off your business. One of the strongest reasons as to why you should focus your efforts on storytelling marketing is simply that stories tend to play on peoples’ emotions. This sounds bad. This sounds manipulative. While storytelling does manipulate us into feeling a certain thing, that doesn’t make it bad. You’re not trying to lure innocent people into buying shady products from a dark alley, right? Sometimes we fall into the trap of trying to appeal to someone’s logic from a business standpoint. We want our customer base to think it makes sense to buy this product, not necessarily that they want it. Storytelling marketing takes the guesswork out of that. Rather than appealing to what you think they’ll want, you’re appealing to their emotional sensitivities. This can give customers motivation of a different kind. Emotions help out our decision-making processes. Not only that, but emotions actually trigger people’s memories. If you give your audience a good story, one that sticks with them, you’re going to have a much easier time turning them from a lead to a sale than you would other types. That doesn’t mean that other types of marketing are ineffective, but storytelling marketing is often untapped and underrated. Going off of that, storytelling lets us focus on our products more than ever. How? By appealing to emotion. That line of thought may not make a lot of sense as written or stated. How do emotions mean you can focus on the product? Think about it: you hear someone recite a bunch of statistics or raw data regarding a product. It could be about how great the product is, how groundbreaking it is, how it’s sure to change your life. Alternatively, it could be something negative about the product, and how it’s sure to put you into financial collapse. Regardless of the purpose of the data, it’s easy for all of it to blend together in a weird, soupy mess of numbers and bylines. You want to appeal to your audience’ emotional core rather than their logical sensitivities. Your audience is going to remember what emotionally appeals to them. Use storytelling to focus on your products. Tell a story about them, one with drama, nostalgia, and all importantly: a happy ending. This will drive more action than focusing on statistics alone, and all cards on the table: you’ll probably have a better time doing it. Focus on your product and appeal to your audience’s emotions. Two simple steps, right? Now, let’s throw in a curveball: keep it simple. Sit down. Relax. Nobody’s saying you need to stick to a long-winded three act structure. Storytelling, whether for marketing purposes or not, is about crafting your words properly. You’re not telling this story to friends at a bar: this is presumably written on your website to entice your audience to purchase your products or services. Storytelling marketing is all about showing instead of telling. Keeping your story simple is a way to keep them engaged. The vaguer on the details you are, the easier it will be for your audience to imagine themselves as the focus of the story. If you make it complex, you risk losing them in all the details, and thus losing the sale. This should really go without saying, but if you’re going to tell a story to reel your audience in, you want it to be a happy one! Think about it. Who wants to read a story about a product only for it to have a bad ending? Why would they buy your product if it’s just going to end in tragedy or misfortune? You don’t have to be Shakespeare when it comes to storytelling marketing. Or, rather, you can be. Just make sure you stick to his comedies. Condensed versions of his comedies. Remember, shortness reigns supreme in the digital age. At the end of the day, storytelling marketing walks hand in hand with regular storytelling. They both get your creative muscles pumped up and flexing. When you’re working with a product day in and day out, it can be troubling to find a way to make the product fresh and exciting. However, you have to in order to make people want your product. Don’t think about your product so literally. In storytelling, the sky isn’t even your limit. The black hole that threatens to devour you when you break into outer space isn’t even the limit. The only limit is your imagination, and the only way you’re going to find the right story is by exercising it. Even if you think your idea is too silly, run with it. Chisel it down until you’ve found the perfect unique way to describe your product or service – the perfect way that only storytelling can accomplish. In the digital age, traditional marketing techniques aren’t as effective as they used to be. That means it’s necessary to branch out and spread your wings. Storytelling marketing is a great way to play into our client’s psyches. Rather than presenting a product and showing it off, we’re telling stories about it. We’re showing off different facets of the same thing. Questions about how storytelling marketing can work for you? Ask the expert! Telling the story of your business is going to increase your customers’ interest. We’ve got your how to guide right here so you can share your story now. You may not be a marketer or writer by trade, but how you tell your small business’ story is vital to standing out from the crowd. Business stories connect customers to brands on a different level than traditional advertising. They make your company likable and trustworthy–two things that more than 83% of consumers say inspire customer loyalty. But there are only so many hours in a day. You may not have the time or resources to put towards your company’s digital strategy on top of everything else. Luckily, we’ve got a few quick and simple tips to help you tell your business story in a way that’ll both inspire loyalty for your brand and turn readers into paying customers. Your brand story is more than just a pitch or quick anecdote. It’s a collection of every element of your business, from your purpose and values to your company’s mission statement. Even if you’re not a gifted storyteller, there are a number of storytelling tactics and tips that can make your business story more impactful, engaging, and shareable. And ultimately, more profitable. There are ten stories that every small business should tell. But the main component they all have in common is that they reveal something about your company. Something specific and intentional that you want your customers to know about your brand. Ensure your stories have an objective from the beginning. It could be to show off your team’s problem-solving skills, a look at your mission statement in action, or how you accommodated a customer’s unique needs in a pinch. Regardless of the story itself, make sure it’s doing something positive for your small business’ bigger image. 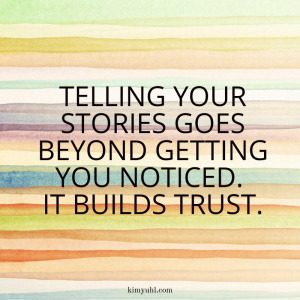 Authenticity is key for great business storytelling. Be careful not to embellish the facts of your stories and always fact check against other sources for accuracy when you can. Even a small, unintentional inconsistency can cast doubt on your brand’s trust and authority. And bad reputations last. But being genuine also applies to your tone. It’s more important for people to enjoy reading your story than it is to showcase your vocabulary. Stick to using language that’s conversational, easy to understand, and true to your brand. The only way for your audience to experience your story is if you put them there. So do it. Use sensory descriptions to help your audience see, hear, feel, touch, and even taste what’s happening. Just be careful to weave them into your stories naturally. You want to engage your audience with the important details and leave the less interesting stuff out. And a list of descriptions isn’t all that exciting. Consider how your descriptions serve your objective and let that guide what you decide to include or cut from your final drafts. If it doesn’t serve your objective, get it out of there. Your target audience is your target customer. So make sure you’re writing with them in mind. Tell stories about your business that relate to what your target customer cares about and how you can help. Identify the questions and problems they have and use those to shape what you post, and take advantage of every opportunity to relate to your readers. But different situations call for different strategies. It’s one thing to know how to tell your story one blog post at a time, but quite another to relay it to a potential investor, customer, or colleague on the fly. Sometimes, you need to pitch your story in a minute or less. That’s just the speed of modern business. That’s why it’s a good idea to write a pitch for your business story and practice it. If an unexpected opportunity arises, you’ll sound more confident to potential customers and keep yourself from rambling on. Your business does so much it’s hard to know what to include or leave out. But remember, this is a 60-second pitch–not an encyclopedic entry. Less is more. Start with a little Brand Brainstorm. Jot down the most important attributes of your company, then narrow it down from there to just four or five key qualities. Another way to do this is to ask yourself what five words you want to be associated with your company. This list will help you stay on brand no matter how unsure you might become. So keep your results handy as you write your pitch. How is your product or service different from others? Stay on message by referring back to your brainstorming list when you get stuck. It may take several attempts and some reshuffling of key phrases to get your answers how you like them, but the effort will be worth it. Your first sentence should read a lot like a tweet (but with better spelling and grammar). Try to write a succinct description of your product or service in less than 140 characters and see what you come up with. The character constraint will do wonders for helping you think outside the box and get straight to the point. Likewise, get creative with your phrasing. Ensure your descriptions are catchy and memorable and stick with the direction you outlined in your Brand Brainstorm earlier. But if you still feel like you might be over-stuffing your business story with information, remind yourself that you want your pitch to lead to questions. Questions allow your audience to take part in the discussion and give you a chance to talk about your business in a more organic way. Also, keep in mind that your pitch will be spoken. So take any long, complex sentences and break them down into shorter ones that are easier to say. Use conjunctions like “and,” “but,” “so,” and “yet” to start your new sentences for a more conversational flow. And practice, practice, practice! Get that pitch down to a minute and sound good doing it. No matter how many re-writes it takes. As a small business owner, nobody knows your company better than you. And now that you can write your business story as well as you can pitch it, be sure to optimize your copywriting for the modern attention span (which is now less than a goldfish’s!). Or take the next step and join the Brand Story School, which is guaranteed to double your small business income in one year (and who wouldn’t want that?). Strategic storytelling may be a tool in your branding that you’ve overlooked. 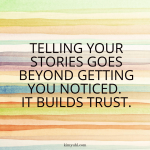 Here’s why you should be sharing your story with your customers.Everyone loves a good story. Any time you add a human touch to something, you draw people in. People want to care about something. They want to feel invested. Strategic storytelling is an amazing way to create a sincere connection between your customer and your brand. It is a combination of basic branding practices, with a touch of fictional writing. Some key things to remember when utilizing storytelling for brand marketing are honesty, relatability, and consistency. Decent writing doesn’t hurt either. There are many ways strategic storytelling can increase your brand awareness. Let’s take a look at how you can make this marketing tool work for you. Strategic storytelling should be done in an engaging, interactive way. Your goal is to draw people in, not push them away with an obvious sales approach. Strategic storytelling doesn’t need a pitch, as much as it needs a storyline. Sometimes the best story is the truth. People love to hear how a business got started. Especially if it means a couple of normal, everyday people (just like your customers) with a vision. Down on their luck, but never gave up. Capitalized on an opportunity and developed a multi-million dollar business from nothing! We tend to root for the underdog, and this is a prime example. You can pull at people’s heartstrings without hitting them over the head with it. Be careful, consumers can tell the difference. And you don’t need to create an elaborate, emotional story. Simply how and why you started is a great jumping off point. Storytelling that lacks emotion won’t get you very far. Creating an emotional connection with your audience opens doors for other connections to be made. View this emotional connection with your audience as a bridge. Once you’ve built that bridge, it allows for ideas, facts and key messages to get across. Your story should also have a unique voice. This is where those writing skills come in handy. Don’t be fooled into thinking you either don’t have a story to tell or that your story isn’t important enough. It is. It’s important to remember that your customer starts out with a problem before seeking out a solution. And here’s where you come in. The answer they’ve been looking for. This is an ideal opportunity for you to use strategic storytelling. Focus on your consumer’s problem and connect to it, using a humanistic approach. What do you want your readers to feel? What actions do you want them to take? All of these elements will help you craft your story and increase brand awareness. Creating a relatable character with your strategic storytelling is key. If your audience sees that you’ve bettered the character’s life, they can imagine the same happening for themselves. Not every brand needs a character like the Aflac duck or Geico’s gecko. Though these little guys sure are cute and entertaining! There are several ways you can create a character your consumer is emotionally invested in. You can use a previous customer’s testimonial, tell a third-person story or even use yourself! Though strategic storytelling is done in the hopes of creating brand awareness, it still needs to have all the components of a good story. This means a beginning, middle, and end. The beginning of your story is where you establish yourself. You introduce your character and the setting. The middle needs to have your character encountering a problem before they discover the solution to the problem – your brand! Once you’ve created all the necessary elements of a good story, your readers should follow your character from beginning to end. Which is exactly where you want them to be. Stories don’t always have a definitive ending either. Leave the future open to curiosity and build anticipation. Done right, strategic storytelling leaves the reader with hope for the future. You aren’t just providing them with a solution to their current problem, but a positive outlook of what’s to come. Strategic storytelling connects people in profound ways. If your audience feels they are on this journey together with you, they feel optimistic about what’s to come. Strategic storytelling should leave your readers wanting more. Once your consumer is invested in your brand, you’re in a great position. From here, you need to create teasers that keep your audience coming back for more. This can be done using perpetual marketing. It’s important to use multiple forms of media to tell your story. Then you can reach a wide variety of consumers on many levels. Videos are another great tool. Videos help you show customers your story rather than just tell them. Your audience is paying attention to the story vs. the product, while subconsciously being drawn to the product. Not everyone will instantly jump on your brand’s bandwagon because you tell a good story. The best way to combat possible pitfalls in your strategic storytelling is to plan for opposition before you encounter it. Why might my audience disagree with what I’m saying? What might stop them from taking the action I suggest? How can I address these objections in my strategic storytelling? Kindra Hall, a national campaign storyteller and former board member of the National Storytelling Network, says that because she is a public speaker and her business is branding herself, she considers what immediate objections her audience might have to her, personally. Hall opens with a childhood memory. Strategic storytelling may be a non-traditional way of increasing brand awareness, but it is extremely effective. Storytelling stands out from traditional marketing campaigns. Your brand story is a powerful marketing tool you need to be using. There are marketing companies and programs designed to help you develop your brand story. If you’re not sure where to begin, we’re a great place to start!